Do you ever just want to be whisked away into a setting unlike any you have ever known? 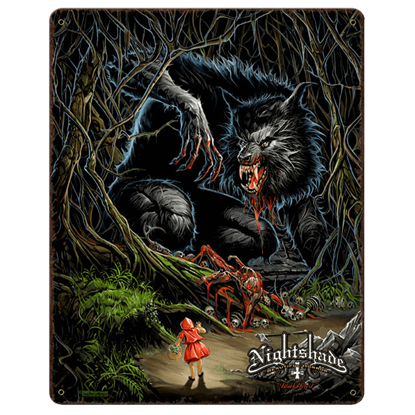 Lose yourself in a beautiful world straight from a far off tale of fantasy? 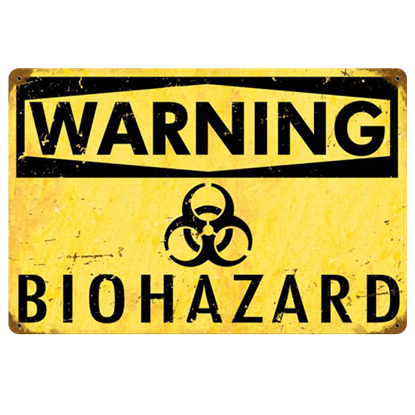 With our fantasy signs, you can do just that! Immense details and vibrant colors make each one a stellar piece to own, one that is just waiting to bring a story into your home! 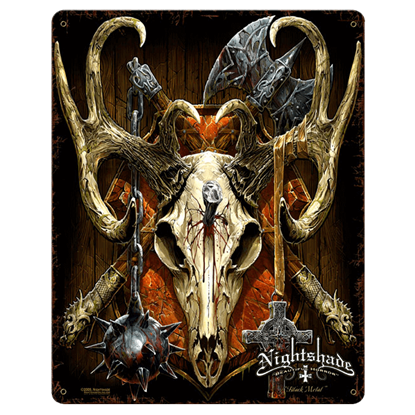 Depicting scenes straight out of fantasy and fiction, these hardy steel signs bring a touch of Americana and industrial style while also delivering a beautiful piece of artwork that you can hang and enjoy with ease! Touches of vintage finishing and faint patina make each sign a stunning home accent. 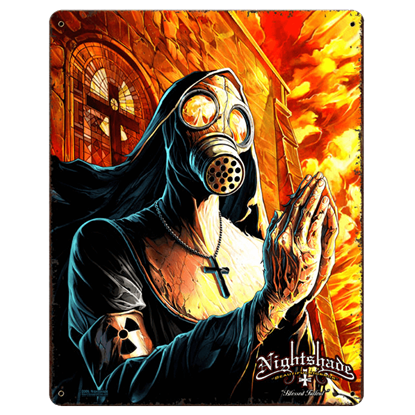 Dragons, elves, demons, fairies, and more abound in the artwork as well, ensuring that no matter your preferences, there is certainly a sign for you! 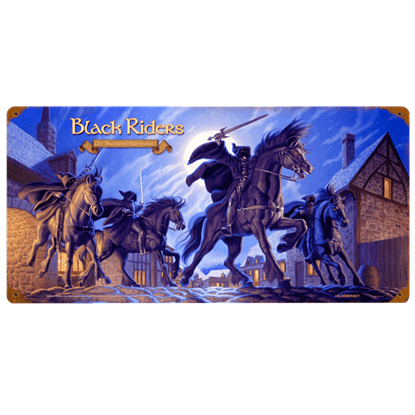 These fantasy art wall signs are a perfect blending of medieval and modern, of non-fiction and fantasy, and the best part is that they go well in practically any style of decor! 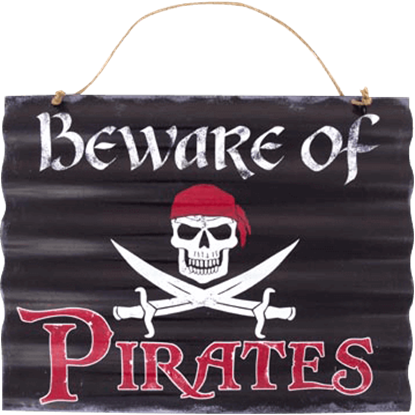 So if you want to infuse some fantasy into your surroundings, let our selection of fantasy signs transport you to a world of endless possibilities! Fairy queens fight beside their soldiers when they go to battle, and so the warrior queen seen in the Always Metal Fairy Sign must swear before her coronation to always help defend her subjects, even if doing so costs her life. 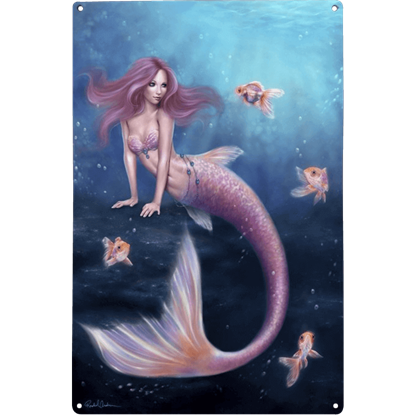 Considering how beautiful mermaids are said to be, it is no surprise that the one featured in the Aurelia Mermaid Metal Sign has so many friends! Four of her closest goldfish friends are hanging out with her in this image. Fairy parties are elegant affairs, complete with costumes and fine dining. 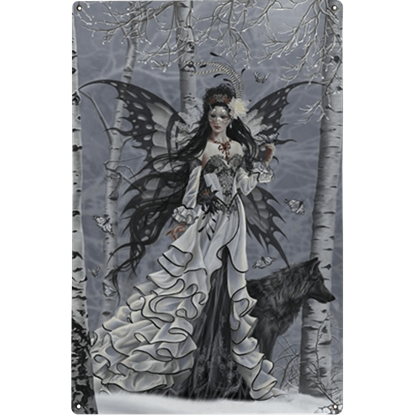 The Aveliad Metal Fairy Sign depicts a patron of one such party as she walks through the snow in her masquerade mask, her wolf companion by her side. The Believe Fairy by Amy Brown does not say much, but then again, she does not have to. 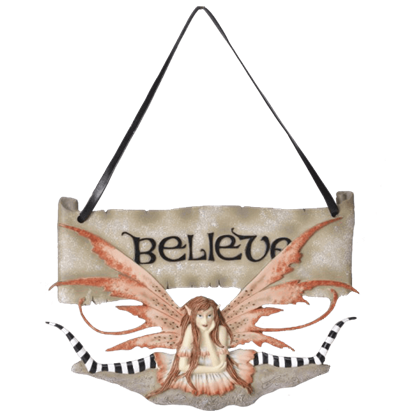 This hanging sign simply reads BELIEVE, while a colorful fairy sits just beneath it, content to watch as others read the sign and interpret it. Science may say that stars are born in the hearts of nebulae, but in the world of fairies, there is the story of the moon fairy that touches the sky and leaves stars behind. 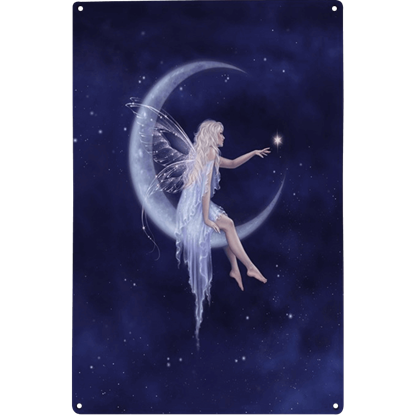 The Birth of a Star Metal Fairy Sign depicts this fairy. 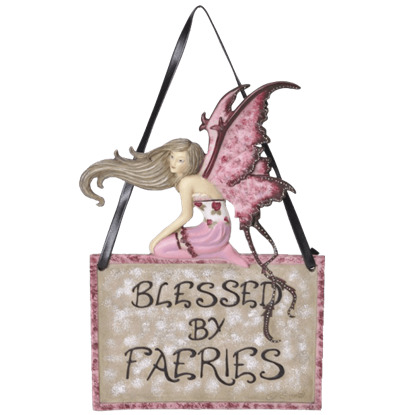 Blessed by Faeries by Amy Brown features a pretty pixie in pink sitting atop a sign that reads, BLESSED BY FAERIES. 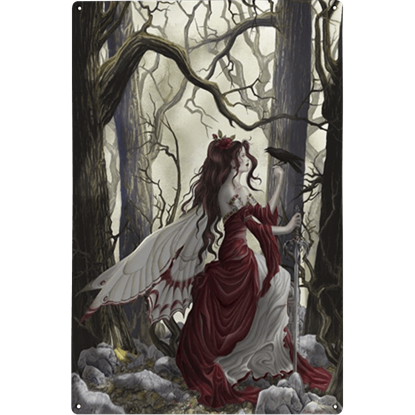 To be blessed by the faeries is to have good fortune and success, almost supernaturally so, in all your endeavors.